Sometimes areas of a lawn need a quick fix with just a few rolls of sod! There are sometimes patches and strips where a lawn struggles, due to challenges with the underlying soil or less-than-ideal cultural conditions. There is nothing wrong with putting a few rolls of sod down in an area where it might not last a long time, but will serve its aesthetic purpose for the time being. New puppy tracking in dirt from a problem area by the back door where sod struggles to grow? 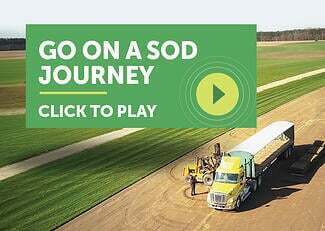 Solution: Periodically refresh that muddy area with rolls of our sod to trap the dirt tracks. Grandparents coming to visit? Does that bare patch out the guest bedroom window really bother them? Solution: Patch it up with a few rolls of new sod and enjoy their compliments about the pretty swatch of green. Preparing your landscape for the big graduation party and parts of the lawn not quite up to speed? Solution: Get a few rolls and be done worrying! Throwing a garden wedding and the prettiest place for the bridal arbor puts the betrothed standing in bare dirt? 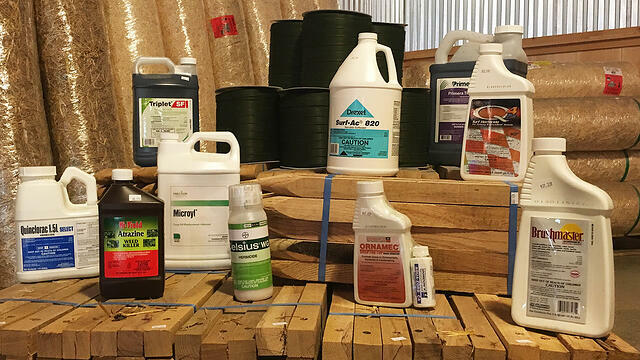 Solution: We have gorgeous plush rolls of Fescue, Zoysia, and Bermuda you can use to ensure a verdant carpet for the bride and groom's fancy shoes. 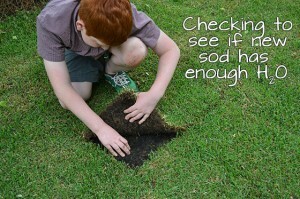 Why use sod for a quick fix? 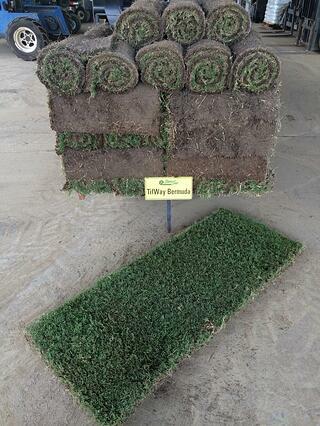 Instant "wow" factor: Sod gives immediate lush, green results. It's inexpensive: Single rolls of sod are available from all our stores. Follow this link to find your nearby store and call for your local pricing. (psst . . . that's much less costly than annual flower bed plantings). 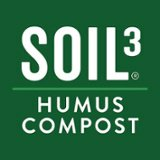 It's easy: Small, easy-to-handle half cubic foot bags of Soil3 are in stock for purchase with individual rolls of sod for easy addition of compost to improve your soil. You can do it yourself! The sod rolls and small bags of Soil3 will fit in the trunk of your car.